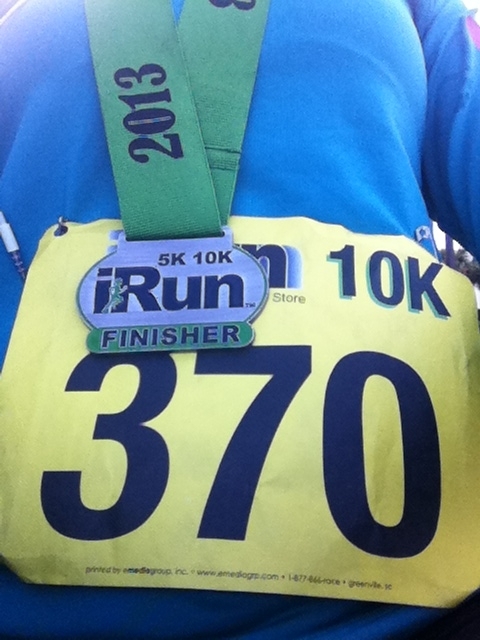 When I noticed there was another 10k race in Miami, I knew I had to sign up since the Carnaval 10k was shortened and not a true 10k, I wanted to race a real 10k before my first half marathon. Although most people probably would not have done a race 6 days before their first half, what can I say, I’m a risk taker. 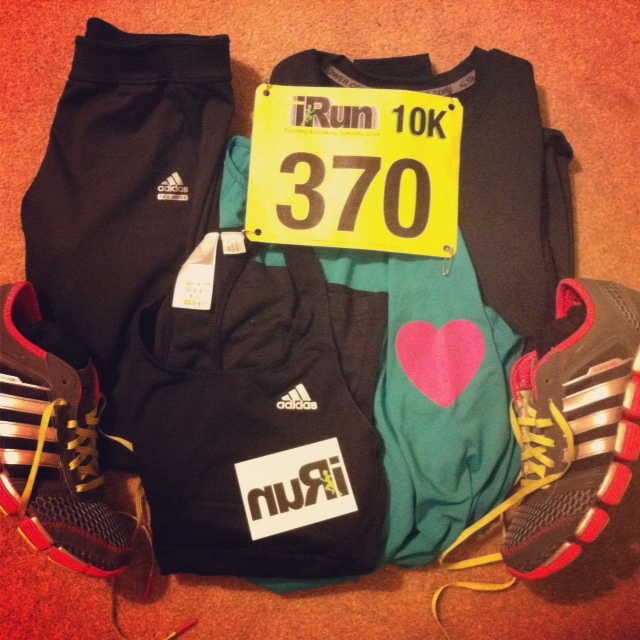 Anyways another reason I wanted to do this race was because Adidas was one of the sponsors and I love Love LOVE all my Adidas gear. I signed up for this race about a month before, wondering how the course would be since the course map showed a neighborhood, not used to that at all. 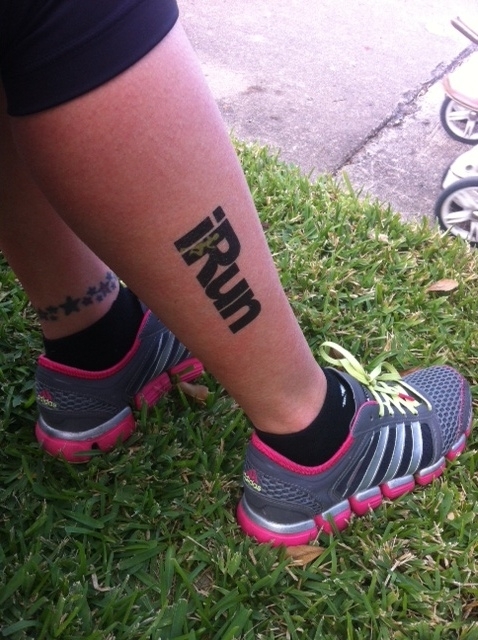 I picked up my race packet a few days before the race, it included an iRun temporary tattoo & a bag of coffee beans. The morning of the race it was chilly, I was prepared to wear 3 layers again but took off the compression core layer in the car before getting out. It was around 55 or so when the race began at 7am, so the sun was just starting to peek over the horizon. I have to say it was a very good race to run before my half, super well organized and everyone was very sweet, and no need to dodge and weave walkers at the beginning! 3 water stops as it was a double loop for the 10k runners, one loop for the 5k. We ran by some restaurants I had ate at before, including Andiamo’s, best pizza in Miami & through neighborhoods. I liked that some people were outside of their houses, staring bewildered at us all running & later on the second loop, they had brought out chairs to watch everyone. I liked the way the volunteers would urge you to go faster just before the finish line and all the people cheering when you crossed it. Very very awesome. After the race I kept moving and got a Smoothie King sample & banana and walked back to the finish line to watch everyone. Another great thing is that the porta potties had toilet paper AFTER the race too! 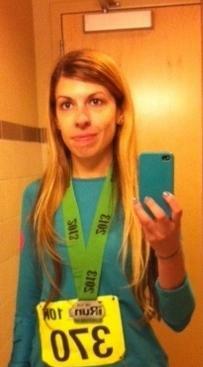 And all finishers got medals! Fun time and great race, I will definitely be doing another iRun event, I wish I lived closer & could do their weekly runs too. later in Starbucks, mirror pic.